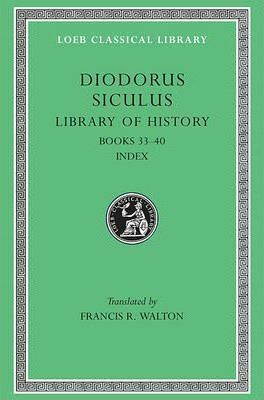 Diodorus Library of History, written in the first century BCE, is the most extensively preserved history by an ancient Greek author. The work is in three parts: mythical history to the Trojan War; history to Alexander s death (323 BCE); history to 54 BCE. Books 1 5 and 11 20 survive complete, the rest in fragments.